Driver negligence causes many car accidents. However, in some crashes, the actual vehicle may be at fault. If the tires or even the design of the car was faulty, a car accident case may quickly turn into a product liability claim. What Are the Most Common Vehicle-Related Product Liability Cases? That the product is defective or poorly designed. It must be shown how the product was defective, whether it was designed poorly or became defective during the manufacturing process. That the product is used in the way it was designed. The victim must show that they used the product in the right way. 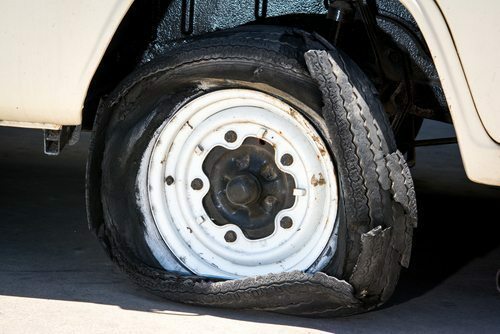 For example, a tire manufacturer cannot be sued when the victim used tires made for another type of vehicle. That the defect in the product directly caused the accident and subsequent injuries. Determine that the product defect was responsible for the accident/injuries. That the injured individual suffered real damages as a result of the accident/injuries. This means that the victim must have incurred costs, such as medical bills, lost wages, etc. When a product causes a car accident, the case becomes more complex. It’s critical to have an attorney on your side to help you through the legal process. At Appalachian Injury Law, we understand how devastating a car accident can be, regardless of the cause. We also know that car accident victims don’t often have the means to go up against product manufacturers who may be responsible. Contact us today for comprehensive legal representation in your car accident case by calling (706) 515-1995. We answer our phones 24 hours a day, 7 days a week.